Winners Report - Click Here!. 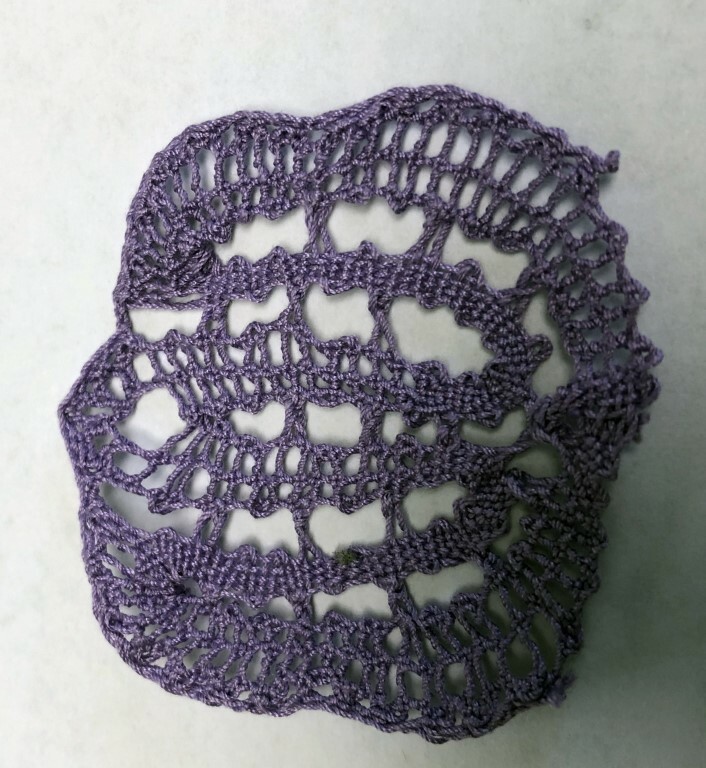 April 20, 2019 - Brenda Glenn will present a lesson on Schneeberger Lace. You will need 6 pairs of bobbins wound 1.5 yards each bobbin, with Lizbeth 20, DMC30 (I also did it with quilting thread - about a 40 size - I got at Joann fabrics.) You will also need a Cover cloth, Crochet hook for sewing, and a pin pusher if you have it. Photo is project. May 18, 2019 - Sue McKinnel will present a lesson on Torchon. Project will be a Torchon Bookmark. Materials to be announced. 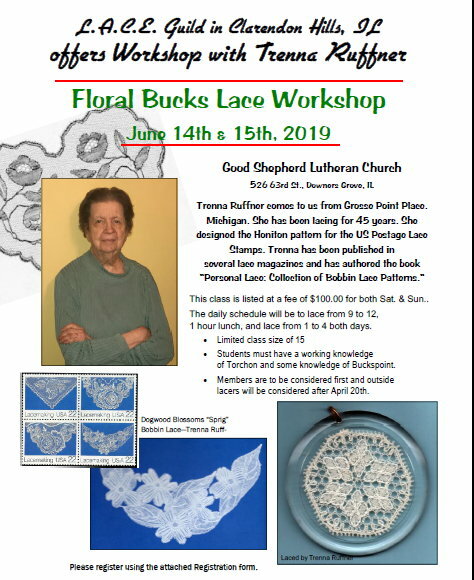 June 15-16, 2019 - Trenna Ruffner will teach a Floral Buckspoint Workshop. All students need a good working knowledge of Torchon lace and some knowledge of Buckspoint. Click here for flyer and registration form and here for class samples. If you are new to our page, sit a while and look around. We make special efforts to update the pages for our members. Visitors are always welcome to our meetings. Our location is handicapped accessible. Return often and feel free to bookmark our site. fee paid. We appreciate and enjoy our friends on FaceBook. PDF documents are used on this website. Adobe Reader can be downloaded free. The material on this website is the property of L.A.C.E. Please respect our designers, etc. Do not copy without consent of the L.A.C.E. Guild.